In the 18th century, Great Britain became a European – indeed world – power. Following the “Glorious Revolution”, the kingdom seemed to represent an interesting alternative to absolutist rule and the primary Protestant power in Europe. It began to exert a cultural attraction throughout most of Europe and provided a cultural template for various areas of life. This Anglophilia was strongest in Germany. In contrast to France, whose Enlighteners brought Anglophilia to Germany, the German view of England acquired a different critical meaning. Certainly, aristocracy, royal arbitrariness and limitations on public expressions of opinion were not unknown in Germany. To a certain extent, the new potential for identification offered by Enlightened Anglophilia overlapped. However, the image of England took on more complex forms in that – where it was constructed to contrast with France – it embodied civic equality and Germanic liberty. Some Anglophiles played off England against France. The French origins of the European aristocracy seemed too obvious to ignore.18 In addition, a concept of “Germanic freedom” developed that deduced a certain level of affinity and similarity based on the kinship of the German and English peoples.19 Thus, the English were “die auf eine Insel verpflanzten Deutschen”,20 or to put it another way: English freedom was also an appropriate yardstick for the situation in the small German states. Something that was not possible in Germany could be studied through the example of England. Here, two complementary trends overlapped: although Anglophilia originated in France, it could be used against the French (or against certain aspects of French culture and society). The postulate of German-English affinity legitimised the orientation towards a new ideal of culture that was independent of France. What made Anglophilia possible in Germany? The first decisive factor is that Protestant Germany (like Protestant Switzerland) saw itself in a complex tangle of relationships with England, in an essentially common cultural space described by travellers’ accounts, particularly those of theologians. Lutheran pastors such as Henrich Ludolf Benthem (1661–1723) , Georg Wilhelm Alberti (1723–1758) and Gebhard Friedrich August Wendeborn (1742–1811) not only spent a considerable time in England, but also wrote the definitive works for the German audience on the country’s geography and culture.21 The older Reformation links between the Swiss cities and England meant that English thought also had an impact on the literary discourse of Swiss writers such as Johann Jakob Bodmer (1698–1783) and Johann Jakob Breitinger (1701–1776) . 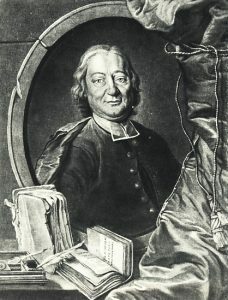 They drew on English sources and literature to support their defence of artistic fantasy, the naturalistic and the emotional against the Leipzig group around the literary critic Johann Christoph Gottsched (1700–1766) and its orientation towards French classicism.22 In retrospect, one of the most insightful travelogues during the early Enlightenment was that by Beat Ludwig von Muralt (1665–1749) , a Protestant from Bern raised in a French environment.23 Jurist Jean-Louis de Lolme (1740–1806) from Genf wrote the most important political text on constitutional structures after Montesquieu.24 In short, while at the European level the Huguenots are considered to have had a considerable propagandistic impact, one must remember that there was a considerable willingness to accept all things English in Protestant Europe. 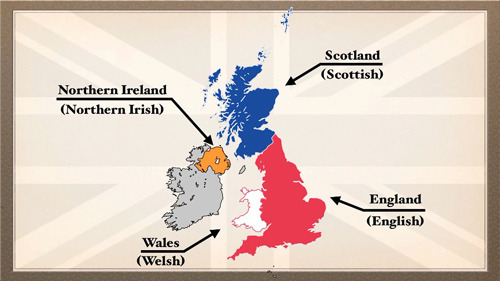 Anglophilia is a cultural construct made up of mutually reinforcing components. Admittedly, one can separate analytically individual strands (for example, landscape gardening and the sentimental novel). However, on closer examination, it becomes clear that the central characteristic of the cultural construct is the very interdependence of the various areas, the way they overlap and their foundation in common values. When talking of Anglophilia, one must emphasize the central values of “freedom” and “nature”.30 While “freedom” has an essentially political meaning, it can also be an ethical and aesthetic value. “Nature” contains not only the contrast to “culture”, but also the reference to the Ancient world (classically understood as a period in which mankind was still unspoilt); religious, aesthetic and scientific elements intertwine with one another here. The idea of England was repeatedly interlocked with that of freedom, individual self-realisation, relative equality, forceful nationality, the orientation towards empirical experience (instead of theory or ideology), the inclination to hard work in commerce and industry, and a gift for invention. In the arts, England seemed, at first, to be a latecomer. The adoption of developments within the visual arts and music emanating from Italy and later, in a second phase, France took place in the 18th century as a result of an extensive network of patronage, the emergence of a market for literature, music and art, and a culture of connoisseurship that extended beyond the aristocracy into the middle classes. Only later did an art form appear – landscape gardening – that seemed specifically English, not only in the English self-image, but also in that of travellers from continental Europe. The writer and politician Horace Walpole (1717-1797) put it thus: “We have discovered the point of perfection. We have given the true model of gardening to the world; let other countries mimic or corrupt our taste; but let it reign here in its verdant throne”.31 By 1785, this was already common.32 Not a few Europeans from various countries travelled to England with the express goal of taking inspiration from an ideal that was not only fashionable, but also genuinely modern in that it corresponded to contemporary sensibilities. The more formal Italian and French modes of gardening, with their straight allées, trimmed trees and regimented beddings, were replaced by a form of art inspired by the ideal of nature, which was organised in order to offer the strolling viewer extremely varied views of winding paths and groups of trees and bushes (including exotic trees), as well as surprising vistas of the open landscape. The considerable multiplicity of the Anglophile cultural template is evident in the tension between the middle-class, rational, empirical and industrious on the one hand and the modern sensibility, on the other, that seems to contradict these aspects in that it connotes transformation, reprocessing and compensation. Anglophiles adopted both elements: while they marvelled at London’s shop windows and visited the factories of Birmingham, they understood the city and the beginnings of the industrial revolution and urbanisation as fearsome and inhumane. The author Karl Philipp Moritz (1756–1793) wrote on his arrival in Richmond: “Tage und Stunden fingen mich an zu gereuen, die ich in London zugebracht hatte, und ich machte mir tausend Vorwürfe wegen meiner Unentschlossenheit, dass ich nicht schon längst jenen großen Kerker verlassen hatte, um mich in einem Paradiese zu verweilen.”42 One travelled to England in order to absorb inspiration for the transfer of technology; entrepreneurs,43 farmers,44 architects,45 doctors and naturalists46 chose this destination. At the same time, one travelled to England in order to savour the new sensibility. The decisive element of the cultural construct of Anglophilia is that one cannot simply ascribe the industrial components to the commercial tourists and the aesthetic ones to the writers and artists. The scope of perceptions of each individual traveller reveals instead the complexity of the Anglophile disposition. The political component of the English ideal clearly meant a proposition for reform of the situation in Germany. By praising England, one could refer to the utopia of another society that really existed, a different political system, an alternative public sphere. German Anglophiles approached the question of freedom of the press in terms of “for” and “against”. Just as the British saw themselves as the descendents of ancient Rome so did German onlookers perceive them as such.51 Educated Germans experienced in England the reality about which they had read in the works of Classical authors. The association socio-ethics granted middle-class political thought a character that was humane and philanthropic rather than rebellious. Books from England had once been in Latin. During the 18th century, above all its second half, German booksellers began selling more and more English-language books. 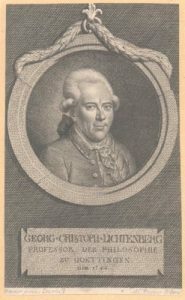 The companies of Wendler, Weidmann and Reich in Leipzig played a leading role, as did the bookseller Carl Heydinger, who was based in London and whose assortment of English books was considerable. From about 1770, there is evidence of an increase in book imports.76 In addition to academic literature and travelogues, historical works and, in particular, novels were extremely important. In 1788, at the apex of Anglophilia, German and Swiss publishers began printing or reprinting their own editions of English literary works. In particular, Thurneysen in Basel made a name for himself in this area, as did Richter in Altenburg and Walther in Dresden.77 The establishment of the continent’s first English bookshop in 1788 by William Remnant in Hamburg also represented a new stage.78 Now, it was possible to order any book one wanted from England at little effort and low cost. 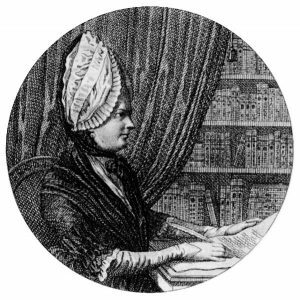 In this regard, journals were important mediators, not only through the articles they contained, but also their reviews and book announcements.79 Booksellers and writers orientated towards England ordered periodicals from England themselves. 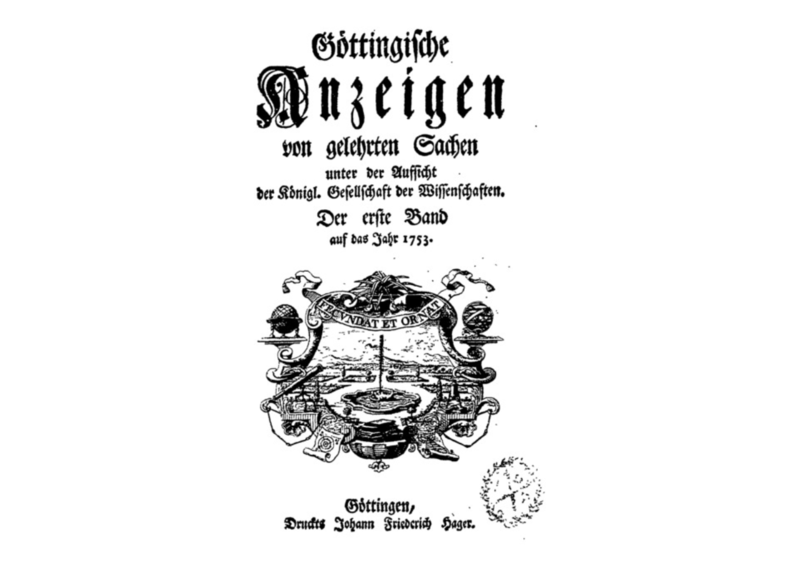 In addition, the reviews in the Göttingischen Gelehrten Anzeigen granted it an important mediatory position because in Gottingen one had quicker and greater access to English books than elsewhere. On average, between five and ten percent of the books reviewed in this organ were in English, for example 53 works in the 1769.80 No other German periodical reached a comparable number. 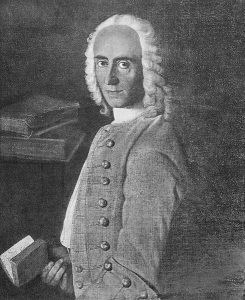 Johann Reinhold Forster (1729–1798) was the descendant of a Yorkshire landowner who had emigrated as a supporter of Charles I (1600–1649). He was born near Danzig and worked as a Protestant clergyman. In 1765, he undertook an extended journey to Russia with his son Georg. 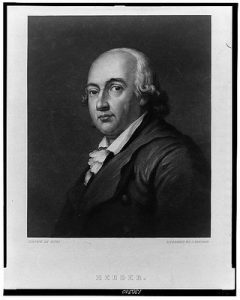 In 1766, he settled in England with his family, where Johann Reinhold Forster struggled to make ends meet as a translator, writer and teacher. Here, the father and son received the opportunity to accompany James Cook (1728–1779) on his second world voyage between 1772 and 1775 (A voyage round the world, 1777). 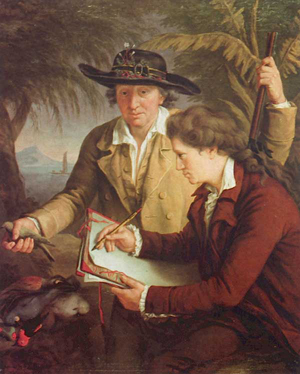 In 1780, Johann Reinhold Forster became professor for natural history in Halle, where he remained until his death. Georg Forster (1754–1794) was professor in Kassel from 1778, in Vilnius from 1784 and a librarian in Mainz from 1788, where he became the vice-president of the Rhine-German National Convention after the French conquest of the city in 1793. In 1790, he travelled through the Netherlands, Great Britain and France with Alexander von Humboldt (1769–1859) (Ansichten vom Niederrhein, von Brabant, Flandern, Holland, England und Frankreich, 3 parts, 1791–1794). The chronic penury of both Forsters forced them to moonlight as translators; they functioned, at times, like veritable “translation factories”. They concentrated on translations of travelogues, which at that time were very popular, from English. Due to their various activities as naturalists, teachers, reviewers, correspondents, editors, travel writers and translators, they were both significant mediators between Great Britain and Germany, as well as between Europe and the rest of the world. 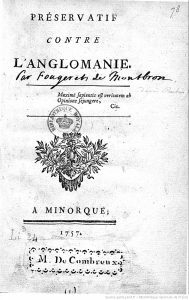 Fougeret de Monbron, Jean-Louis: Préservatif contre l’anglomanie, [Paris] 1757, online: http://gallica.bnf.fr/ark:/12148/bpt6k1329088 [18/05/2010]. 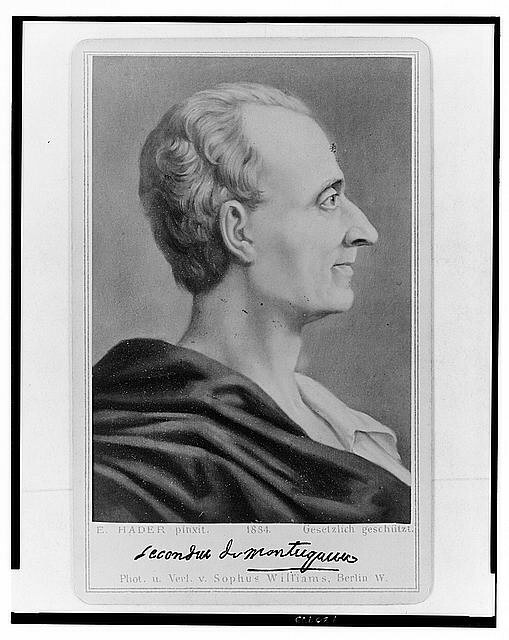 Montesquieu, Charles-Louis de Secondat, Baron de la Brède et de: De l’Esprit des lois, edited by Robert Derathé, Paris 1973, vol. 1–2. Moritz, Karl Philipp: Reisen eines Deutschen in England im Jahr 1782: In Briefen an Herrn Direktor Gedike, Berlin 1783, online: http://resolver.sub.uni-goettingen.de/purl?PPN249899957[18/05/2010]. Schopenhauer, Johanna: Erinnerungen von einer Reise in den Jahren 1803, 1804 und 1805, Rudolstadt 1813–1817, vol. 1–3, online: http://resolver.sub.uni-goettingen.de/purl?PPN250127075[18/05/2010]. Volkmann, Johann Jacob: Neueste Reisen durch England, vorzüglich in Absicht auf Kunstsammlungen, Naturgeschichte, Oekonomie, Manufakturen und Landsitze der Großen, Leipzig 1781–1782, vol. 1–4, online: http://resolver.sub.uni-goettingen.de/purl?PPN249688565[18/05/2010]. 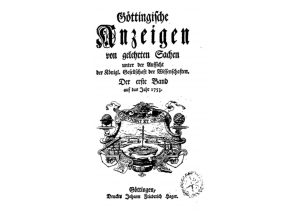 Aldcroft, Derek H.: Aspects of Eighteenth Century Travelling Conditions, in: Spieckermann, Marie-Luise (ed. ): “Der curieuse Passagier”: Deutsche Englandreisende des 18. Jahrhunderts als Vermittler kultureller und technologischer Anregungen, Heidelberg 1983, pp. 27–45. Bruno, Gabriel: La Constitution britannique devant l’opinion française de Montesquieu à Bonaparte, Paris 1931. Frühsorge, Gotthardt: Was der deutsche Baron in England auch sehen konnte: Agrarrevolution und ‘ökonomische Reise’, in: Spieckermann, Marie-Luise (ed. ): “Der curieuse Passagier”: Deutsche Englandreisende des 18. Jahrhunderts als Vermittler kultureller und technologischer Anregungen, Heidelberg 1983, pp. 47–61. Graf, Arturo: L’anglomanie e l’influsso inglese in Italia nel secolo XVII, Turin 1911. 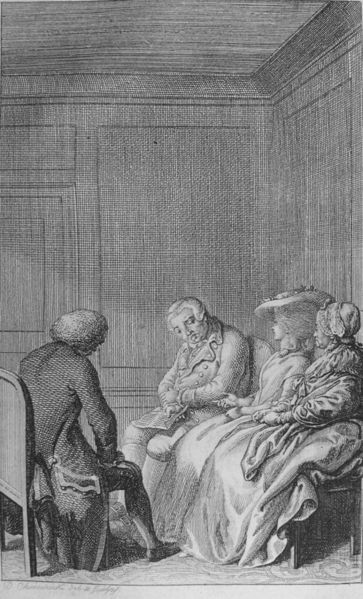 Knabe, Peter-Eckhard: Die Rezeption der französischen Aufklärung in den “Göttingischen Gelehrten Anzeigen” (1739–1779), Frankfurt am Main 1978. Labutina, Tatiana Leonidovna: Zarozhdenie anglomanii i anglofil’stva v Rossii, in: Voprosy istorii 2 (2008), pp. 34–41. Maurer, Michael: “Nationalcharakter” in der frühen Neuzeit: Ein mentalitätsgeschichtlicher Versuch, in: Reinhard Blomert et al. (ed. ): Transformationen des Wir-Gefühls: Studien zum nationalen Habitus, Frankfurt am Main 1993, pp. 45–81. Maurer, Michael: Wales – die Entdeckung einer Landschaft, in: Markus Bertsch et al. (ed. ): Landschaft am “Scheidepunkt”: Evolutionen einer Gattung in Kunsttheorie, Kunstschaffen und Literatur um 1800, Gottingen 2009, pp. 227–241. Mittler, Elmar (ed. ): “Eine Welt allein ist nicht genug”: Großbritannien, Hannover und Göttingen 1714–1837, Gottingen 2005. Perry, Norma: Voltaire’s View of England, in: Journal of European Studies 7 (1977), pp. 77–94. 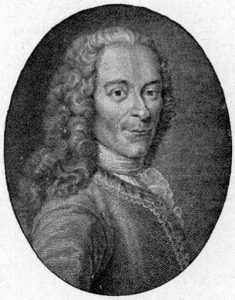 Pomeau, René: Les Saisons anglaises de Voltaire: l’exil, le voyage, le témoignage, in: Marie-Luise Spieckermann (ed. ): “Der curieuse Passagier”: Deutsche Englandreisende des 18. Jahrhunderts als Vermittler kultureller und technologischer Anregungen, Heidelberg 1983, pp. 15–26. Schmidt, Wolf Gerhard: ‘Homer des Nordens’ und ‘Mutter der Romantik’: James Macphersons Ossian in der deutschen Literatur, Berlin et al. 2004–2005, vol. 1–4. Zelle, Carsten: “Angenehmes Grauen”: Literaturhistorische Beiträge zur Ästhetik des Schrecklichen im achtzehnten Jahrhundert, Hamburg 1987. “The thought alone of seeing England makes me tremble with joy…; for, I must confess: books and travelling have always been for me the only truly perfect bliss in this life. England, in particular, whose history, writers and agriculture I have studied so long, which I have loved for such a long time, has always been a point that my whole soul desired; and this last half hour on the sea was priceless.” (translation C.G.). La Roche, Holland und England 1788, p. 190. Archenholtz, England und Italien 1785, vol.1, p. 11. Maurer, Aufklärung und Anglophilie 1987, p. 18. Brüch, Anglomanie 1941; Grieder, Anglomania 1985. The “history, philosophy, politics and particularities of this wonderful nation” (translation C.G.). Herder, Sämmtliche Werke 1877–1913, vol. 5, p. 167f. “the most Enlightened people on our earth” (translation C.G.). Archenholtz, England und Italien 1785, vol. 2, p. 41f. Möser, Sämtliche Werke, vol. 8, p. 272. Zur Entwicklung des Tanzes allgemein: Braun / Gugerli, Macht des Tanzes 1993. Duchhardt, Exodus der Hugenotten 1985.
he work appeared in the following year in French under the title Lettres philosophiques ou Lettres écrites de Londres sur les Anglais (Voltaire, Lettres philosophiques 1734). Orieux, Voltaire 1968; Besterman, Voltaire 1971; Perry, Voltaire’s View of England 1977; Pomeau, Saisons anglaises 1983. 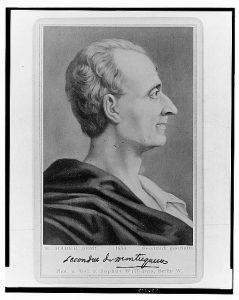 Montesquieu, De l’Esprit des lois 1748. For more on Montesquieu, see Shackleton, Montesquieu 1961; for an important motif in his political thought, see Hölzle, Idee 1925. 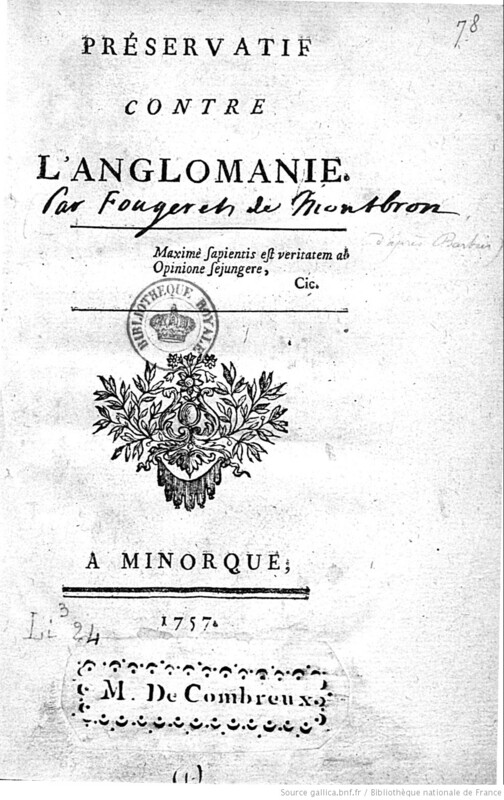 For example, Fougeret de Monbron, Louis Charles: Préservatif contre l’anglomanie, Paris 1757; see also Bruno, La constitution britannique 1931; Grieder, Anglomania 1985. This is explored using the example of Justus Mösers in Maurer, Justus Möser in London 1985. 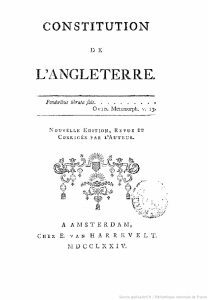 On the conversion of a disappointed Anglophile by the French Revolution, see the discussion in Maurer, Aufklärung und Anglophilie 1987, pp. 207–215. Herder, Sämmtliche Werke 1877–1913, vol. 18, p. 161. Maurer, Aufklärung und Anglophilie 1987, pp. 64–67, 415–417. “Germans transplanted to the island” (translation C.G.). Herder, Sämmtliche Werke 1877–1913, vol. 18, p. 207f. Benthem, Engelländischer Kirch- und Schulen-Staat 1694; Alberti, Zustand der Religion und der Wißenschaften 1752–1754; Wendeborn, Beyträge zur Kentniß Grosbritanniens 1780; Wendeborn, Zustand des Staats 1785–1788 (on Wendeborn, see Maurer, Wendeborn 1988). Bender, Bodmer und Breitinger 1973. 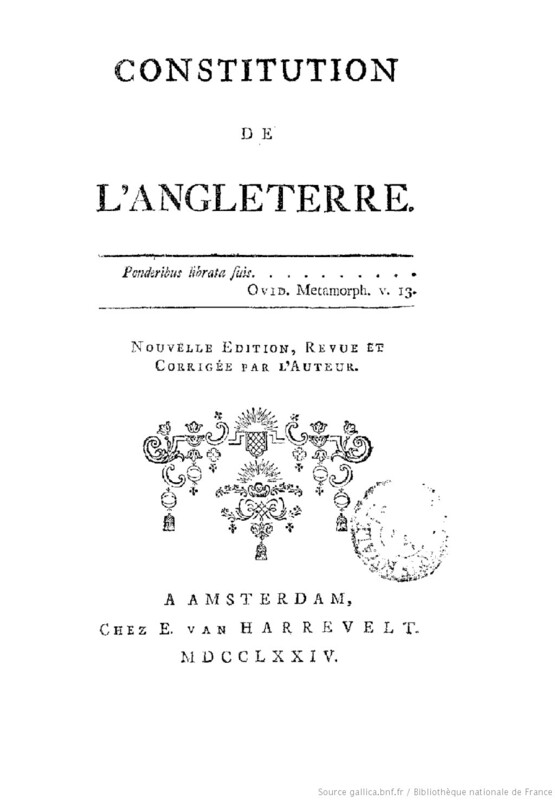 Muralt, Lettres sur les Anglais 1725 (Ausgabe 1933). On Muralt, see Robson-Scott, German Travellers 1953, p. 117. Lolme, Jean Louis de: Constitution de l’Angleterre, ou état du gouvernement anglais, comparé avec la forme républicaine et avec les autres monarchies de l’Europe, Amsterdam 1771. For more detail, see Maurer, Aufklärung und Anglophilie 1986, pp. 41–44. Fabian, Research Collection 1994; Müllenbrock / Wolpers, Englische Literatur 1988; Mittler, Eine Welt ist nicht genug 2005. Gumbert, Lichtenberg in England 1977; Maurer, Aufklärung und Anglophilie 1987, pp. 253–291. “We are glad to be half-Englishmen here, and by no means just in our clothing, manners and fashions, but also in our character” (translation C.G.). Quoted in Heinemann, Geschichte von Braunschweig und Hannover 1882–1892, vol. 3, p. 381. Maurer, Aufklärung und Anglophilie 1987, pp. 415–419. Walpole, On Modern Gardening 1785, p. 81. Hoffmann, Landschaftsgarten 1963; Gerndt, Idealisierte Natur 1981; Buttlar, Landschaftsgarten 1989; Throtha, Der englische Garten 1999. Spence, Observations 1966, vol. 1, p. 405. Roethlisberger, Im Licht von Claude Lorrain 1983. Groh / Groh, Weltbild und Naturaneignung 1991; Wozniakowski, Wildnis 1987. Begemann, Furcht und Angst 1987; Zelle, Angenehmes Grauen 1987. Schmidt, Homer des Nordens 2004–2005. Gundolf, Shakespeare und der deutsche Geist 1911; Wolffheim, Die Entdeckung Shakespeares 1959; Blinn, Shakespeare-Rezeption 1982–1988; Stellmacher, Auseinandersetzung mit Shakespeare 1976–1985; Williams, Shakespeare on the German Stage 1990; Maurer, Shakespeare-Rezeption 2004. 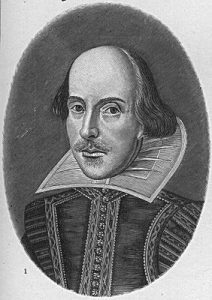 “Nothing is as natural as Shakespeare’s characters”. (translation C.G.). Goethe, Hamburger Ausgabe 1948–1971, vol. 12, p. 225f. “Among the romantic poets, none is as closely related to us Germans, none so completely German, either in the outer form of the plot or the inner spirit, as is he” (translation C.G.). Schlegel, Kritische Friedrich-Schlegel-Ausgabe, vol. 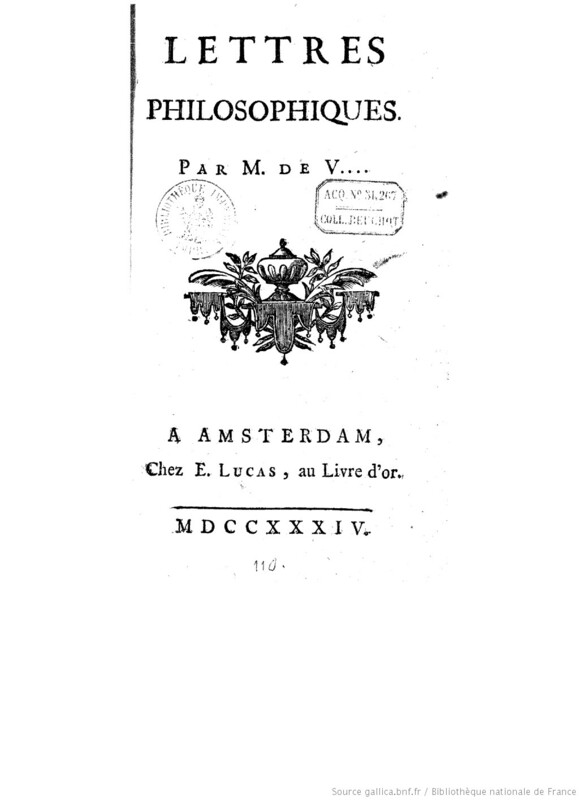 11, p. 171. “I began to regret the days and hours which I had spent in London and reproached my irresolution a thousand times that I had not long since left this enormous dungeon in order to sojourn in some paradise” (translation C.G). Moritz, Reisen eines Deutschen in England 1785 (quoted here from Maurer, O Britannien 1992, p. 380). Pischke, Industrierevolution 1935; Schumacher, Auslandsreisen deutscher Unternehmer 1968, pp. 132–193; Kroker, Technologische Kenntnisse 1971; Braun, Technologische Beziehungen 1974. Frühsorge, Agrarrvolution und ökonomische Reise 1983. Wegner, Nach Albions Stränden 1994. “The main character trait of the British is their entirely singular public spirit, a virtue so unknown in all other countries that there is no word for it in another living language. The word Nationalgeist only descries this noble British characteristic very incompletely. It is more the willingness, or the fervent efforts, of individuals to promote the common good” (translation C.G.). Archenholtz, England und Italien 1786, vol. 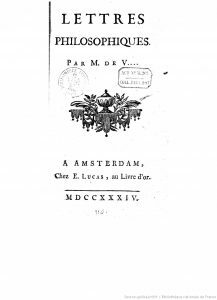 1, p. 165. “In despotic states, even the Enlightened individual, whether he be rich or poor, high- or low-born, is only occupied with his own sustenance; he can only make pious wishes for the rest of mankind and leave it to the mighty of this earth to realise them. The British, however, regardless of what kings do, get down to work” (translation C.G.). 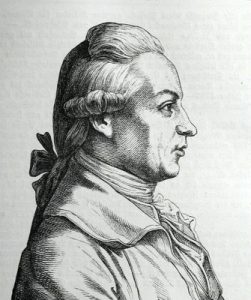 Archenholtz, Annalen der Brittischen Geschichte 1789, vol. 1, p. 193f. On Archenholtz’s analysis of the concept of freedom, see Maurer, Aufklärung und Anglophilie 1987, pp. 191–193. “Oh, dear Friend, when one sees here how even the lowest barrowman shows his interest in what is happening, how the smallest child imbibes the spirit of the people, in short how everyone here displays his feeling that he is also a man and an Englishman, as good as his king and his minister, then one begins to feel very differently on seeing the soldiers parading at home in Berlin” (translation C.G.). Moritz, Reisen eines Deutschen in England 1785 (quoted here from Maurer, O Britannien 1992, p. 379). Moritz, Reisen eines Deutschen in England 1785 (Maurer, O Britannien 1992, p. 376); Wendeborn, Beyträge zur Kentniß Grosbritanniens 1780, p. 81f. Wendeborn, Beyträge zur Kentniß Grosbritanniens 1780, p. 13f. 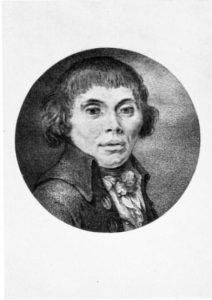 Wendeborn, Der Zustand des Staats 1785–1788, vol. 2, p. 253. Robson-Scott, German Travellers 1953; Maurer, O Britannien 1992 (above all the introduction on pp. 7–39). Volkmann, Neueste Reisen durch England 1781–1782. Moritz, Reisen eines Deutschen in England 1785, passim. For more on this construct, see Wiedemann, Rom – Paris – London 1988. Moritz, Reisen eines Deutschen in England 1785, pp. 190–216. Maurer, Wales 2009; Maurer, Schottland 2007; Maurer, Das Andere des Anderen 2008. Büsch, Bemerkungen auf einer Reise 1786, pp. 100–107. Schopenhauer, Erinnerungen 1813–1817. On the contemporary debate on the conceptualisation of national characters, see Maurer, Nationalcharakter 1993 and Maurer, Nationalcharakter und Nationalbewußtsein 1996. “Among those foreigners who write about the English nation, the majority have – with a few exceptions – only spent a short time in London, often without being able to speak the English language. They have visited a few coffee and comedy houses as well as some unimportant parties, and now consider themselves able to write about a people whose manners and mentality are as little known to them as any other whose home they have only seen on a map” (translation C.G. ).Wendeborn, Beyträge zur Kentniß Grosbritanniens 1780, p. 1f. Uffenbach, Merkwürdige Reisen 1753–1754, vol. 2, p. 443. Hassenkamp, Nachlaß Sophie von La Roche 1898, p. 502. Goethe, Hamburger Ausgabe 1948–1971, vol. 9, p. 122f. See also Schröder, Englischunterricht 1969. Willenberg, Distribution und Übersetzung 2008, p. 88. For example, see Uffenbach, Merkwürdige Reisen 1753–1754, vol. 2, p. 453. La Roche, Herbsttage 1805, p. 1. Maurer, Aufklärung und Anglophilie 1987, pp. 197–199. Oppel, Deutsch-englische Literaturbeziehungen 1971; Price, Englische Literatur in Deutschland 1961. Harris, Wirkung Fieldings 1960; Michelsen, Sterne 1962; Price, Richardson in Germany 1926. Willenberg, Distribution und Übersetzung 2008, p. 123. “Thus, the English themselves do not embrace their most felicitous writings so actively or with such loyal warmth as do we Shakespeare, Milton, Addison, Swift, Thomson, Sterne, Hume, Robertson and Gibbon. Richardon’s three novels have enjoyed a golden period in Germany; Young’s Night Thoughts, Tom Jones, The Country Parson have given rise to sects in Germany; in English periodicals, we have even admired that which we did not understand, that which was not written for us. And who does not do honour to the Scotsmen Ferguson, Smith, Stewart, Millar and Blair?” (translation C.G.). Herder, Sämmtliche Werke, vol. 18, p. 207f. Willenberg, Distribution und Übersetzung 2008, p. 117. Willenberg, Distribution und Übersetzung 2008, pp. 120–131. Fabian, Die erste englische Buchhandlung 1994. Willenberg, Distribution und Übersetzung 2008, pp. 132–156. Knabe, Göttingische Gelehrte Anzeigen 1978, p. 39. Blassneck, Frankreich als Vermittler 1934. Price, Holland as Mediator 1941. Stackelberg, Übersetzungen aus zweiter Hand 1984; Graeber / Roche, Englische Literatur 1988. Willenberg, Distribution und Übersetzung 2008, p. 187f. Oz-Salzberger, Translating the Enlightenment 1995. Half of the translations were produced anonymously. 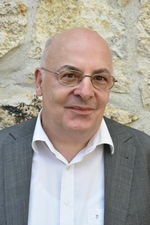 For more on the translators known by name, see Willenberg, Distribution und Übersetzung 2008, pp. 215–254. Willenberg, Distribution und Übersetzung 2008, p. 176. Maurer, Aufklärung und Anglophilie 1987, pp. 207–215, 242–249. Braune, Burke in Deutschland 1917; Elsasser, Politische Bildungsreisen 1917; Mayer, England als politisches Vorbild 1931. This entry was posted in Britain, Early Modern, England, History. Bookmark the permalink.